For a shower screen that is both stylish and practical, choose M.C Glass & Glazing to design and install your custom semi-frameless shower screen. While a fully framed shower screen offers unbeatable strength and durability, and a frameless shower screen is the ultimate in high-end bathroom elegance; a semi-frameless shower screen features the best of both worlds. Designed to any size, shape and configuration you want, our semi-frameless shower screens feature aluminium frames around the top, bottom and wall-facing edges of your shower. The effect of the rest of the shower screen is similar to a completely frameless shower screen at a lower cost. If you want to create a really stunning feature for your bathroom, be sure to check out our custom frameless shower screens. Like our fully framed shower screens we offer a range of options to customise the appearance and functionality of your semi-frameless glass shower screen, in addition to completely customising the size, shape and configuration. The aluminium frames that feature at the top, bottom and edges of your shower screen are available in a wide range of colours to complement your bathroom’s colour screen. You can also choose your door handles and fittings to suit your style. All our semi-frameless shower screens are made from the highest quality 6mm Safety Glass available. 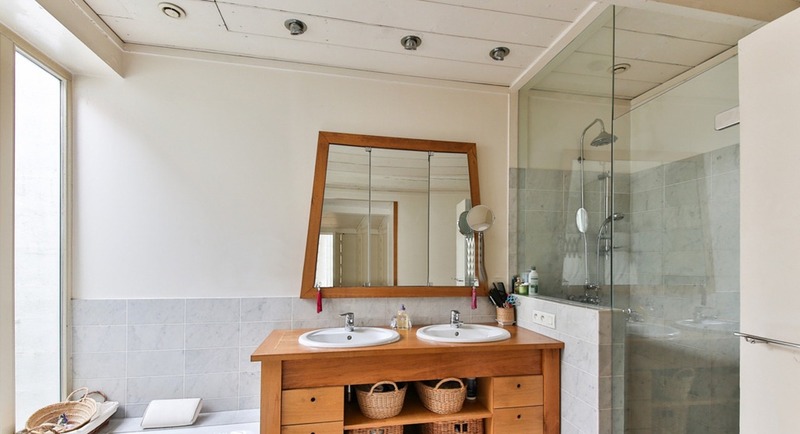 To complete your new bathroom, we also design and install custom bathroom mirrors to your specifications and style. See our Mirrors page for more information. Want to know more about how M.C Glass & Glazing can transform your bathroom or ensuite? Contact us today to find out how we can help you choose and design the perfect semi-frameless shower screen for your home. MC Glazing is a member of the Australian Glass & Glazing Association and all our semi-frameless shower screens comply with Australian Standards AS1288.